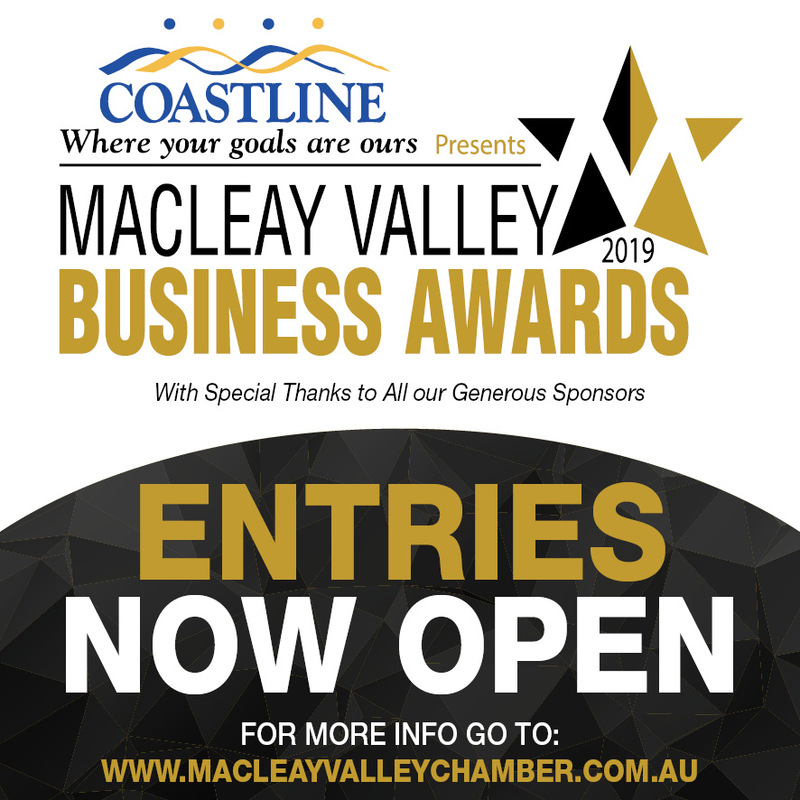 The Macleay Valley Business Chamber celebrates the launch of its third successive year managing the Macleay Valley Business Awards and encourages all local businesses across the region to enter. The 2019 Macleay Valley Business Awards celebrates partnership support from local businesses again in 2019 and continue with our three year partnership with Coastline Credit Union as the Presenting Sponsor. Creating an Opportunity for businesses to assess their past performance and plan for the future. 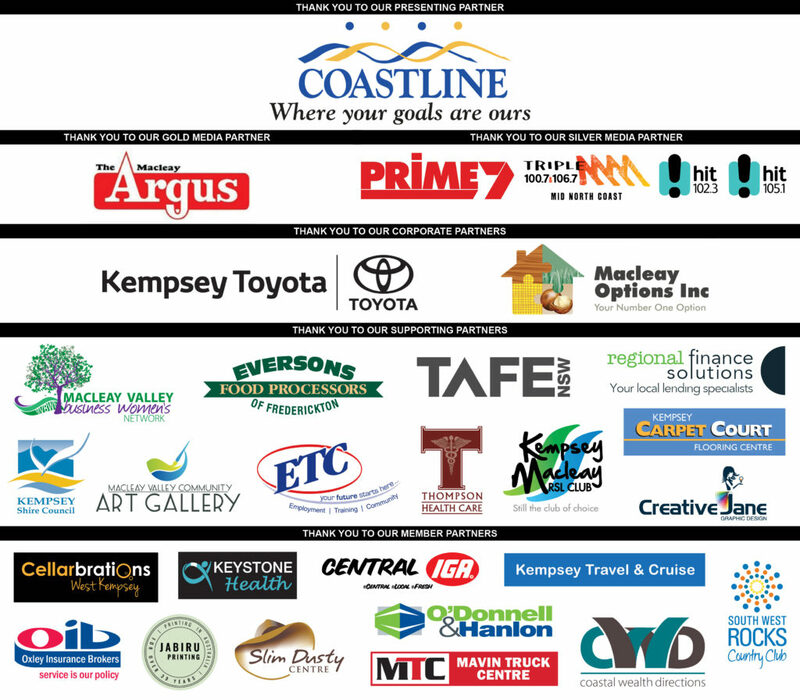 Creating opportunities to promote your business to peers and the broader community. To build business growth, success, awareness and prosperity for the Macleay Valley. The Macleay Valley Business Awards provides an exceptional opportunity to recognise and reward amazing businesses whose passion, determination and success inspire other businesses and business people. Businesses and organisations can enter into one local Award category and then any of the Aligned Awards. All Entrants MUST enter one of the Local Recognition Awards. Entrants are encouraged to enter one or more of the NSW Business Chamber Aligned Awards. To be eligible to submit an application you should be a Member of a local business chamber or the NSW Business Chamber or be prepared to join the Macleay Valley Business Chamber. A business can enter one or more award categories and all entrants MUST enter one of the Local Recognition Awards. Entrants are encouraged to enter the NSW Chamber Awards as an optional entry. Members of the Business Chamber Executive cannot enter into an individual award however, they can enter their business into one of the other categories. Any individual or business can vote for a Local Recognition Applicant. There can be only one vote per IP address lodged. You can vote for all Entrants if you wish however you can only vote for a single entrant once. A panel of independent experts will assess all entries to the Awards utilising a scoring system adopted by the NSW Business Chamber. The judges will be recruited from outside the region. All information supplied to the judging panel will remain confidential. All information supplied by an Entrant will remain confidential however each Entrant will be asked to supply a 100 word description of their business that be used for promotional purposes by the Chamber. By entering the Awards, you agree to have this information used for promotional purposes. 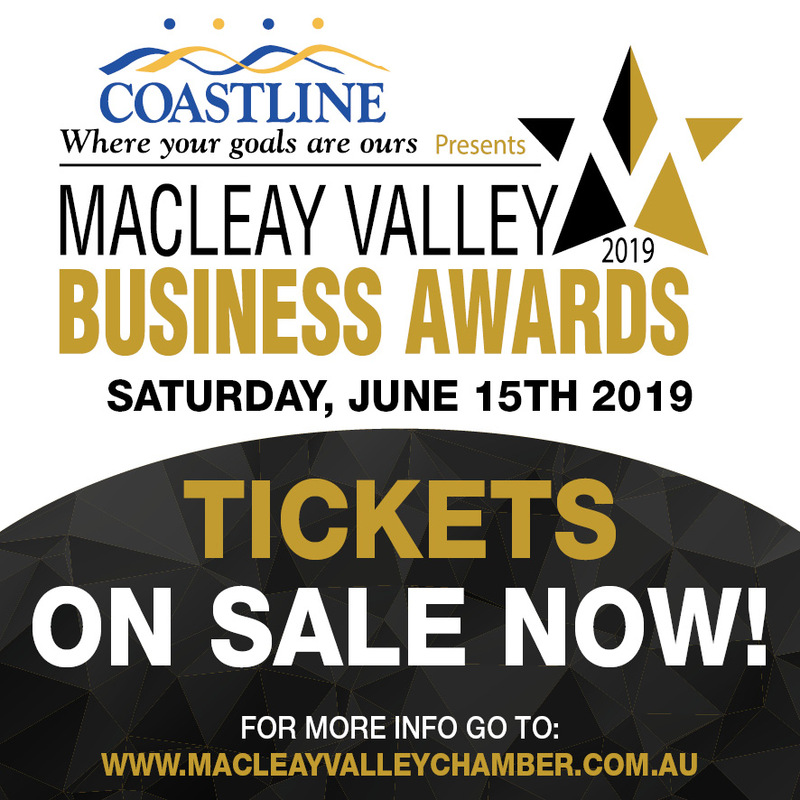 The Macleay Valley Business Chamber will undertake a major social media campaign to promote the Awards through Facebook, Instagram and online. By submitting an application you agree that Macleay Valley Business Chamber can use the 100-word biography of your business in our promotion of the event. By submitting an Awards entry, an entrant understands and agrees that the Chamber or our Awards Sponsors may contact entrants in relation to the Awards process or promotions and that entrant contact information may be provided to other parties for this purpose. Wishing all entrants every success knowing they will learn and grow their businesses through this process.